VHC Grace Queen Bed Skirt , Available Now! 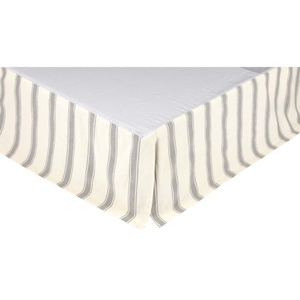 Elegant enlarged ticking stripes - a farmhouse staple - in nickel grey are placed on a creme fabric, giving the Grace Bed Skirt a spacious and fresh look. 100% cotton, finished with split corners.